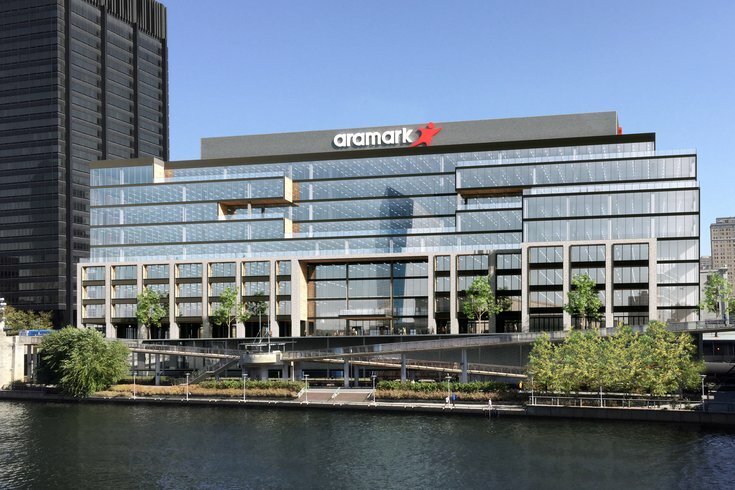 A design drawing of what the new Aramark building coming to the shores of the Schuylkill River will look like. Pennsylvania has awarded a contract for food procurement and management services to Aramark Correctional Industries in a deal that state officials say will save taxpayers more than $15 million. Department of General Services Secretary Curt Topper and Department of Corrections Secretary John Wetzel announced Wednesday the three-year pact with Philadelphia-based Aramark is worth nearly $154 million. The deal also contains two one-year renewal options. The Governor’s Office of Transformation, Innovation, Management and Efficiency (GO-TIME) estimates that the state will save $16.6 million over the course of the deal by taking advantage of Aramark's software system to deliver more efficient services. The state's 26 correctional facilities will undergo a transition period to implement the technology. The first prison is expected to operate with the system by the end of February. “The awarding of this contract is the latest in a long line of successful examples that show how when action is taken to leverage resources, streamline processes, and create efficiencies, we all benefit from increased quality and decreased costs,” Topper said. Aramark will manage the purchase, logistics. and food inventory for all detention facilities while the DOC will control menus and inspect, prepare and serve the food. “This contract model enables us to leverage our buying power to realize significant savings without having to sacrifice quality in any other areas," Wetzel said.